A team of students from Ivanhoe Girls’ Grammar School will take their fight against body image within the modelling industry to the floors of State Parliament later this month. As one of twenty teams participating in the YMCA Youth Parliament at Parliament House from 29 June – 2 July, the team will be presenting a Bill titled ‘The Minimum BMI Requirements for Commercial Models’, designed to ensure the health of all professional models and to combat body image problems caused by advertisements featuring models who are excessively thin. The team are aiming to do this by placing a minimum BMI measurement of 18 on professional models, barring all models who are considered under-weight on the BMI scale from working, unless cleared to do so by medical practitioners. A BMI measure is acquired by a given person’s weight in kilograms, divided by their height in metres, squared. For a female model 160cm tall, (roughly the average height for an Australian female), to have a BMI of under 18, she would have to weigh under 45 kilograms, a weight at which the model is at a severely higher risk of suffering from malnutrition. 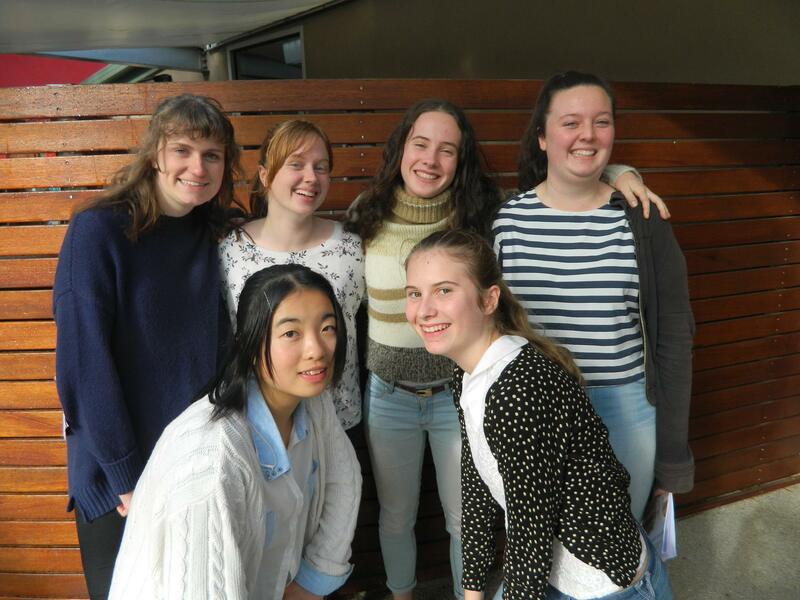 The Ivanhoe Girls’ Grammar School team is comprised of: Rebekah Kelcey-Gee, Elena Mitchel, Glenda Li, Olivia Ireland, Mishca Plant and Claudia O’Callaghan. All of whom are aged between 16-17 and currently studying their VCE at Ivanhoe Girls’ Grammar School. The girls described body image as an “important topic” to them as a team from an all-girls schools and an issue that they believe is “not receiving enough attention”. The passing of these laws in Europe has come under fire by some within the industry. Sara Ziff, the founder of Model Alliance, a non-for-profit organisation seeking better working conditions for models internationally, told ThinkProgress she believes “It is unfair and unreasonable to ban healthy models from working just because they have a relatively low BMI” but does agree “that the fashion industry should promote a healthy [body] ideal”. If successful, the Bill will be passed onto the state Minister for Health, Hon. Jill Hennesey, for consideration at the conclusion of Youth Parliament. Posted on June 20, 2015 June 20, 2015 by vicpressgalleryPosted in 2015Tagged BMI, Health, Ivanhoe, Spring st, Students, YMCA Victoria, Youth Parliament.